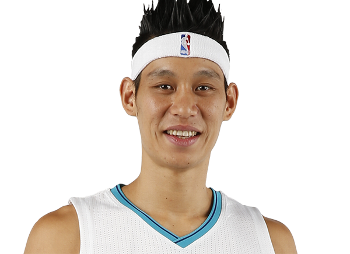 Since the Brooklyn Nets are absolute dog feces mixed with two-month old guacamole (thanks to my girlfriend I know what that combo smells like… please don’t ask), I’ll start with Jeremy Lin, their newly-acquired point guard. “Linsanity” was arguably the most amazing basketball story ever. Literally came out of nowhere. Even pundits who thought highly of him were shocked when he set the hoops’ world on fire for about a month and a half. I remember tempering my expectations at the time, capping his ceiling as a mutant J.J. Barea. To this point, I think my assessment still stands. He’s either a medium to low-end starting point guard or an elite third guard. Averaging something like 18–7–4 on a crappy team won’t change my opinion. But damn if he’s not an exciting player. Definitely looking forward to watching him ball out this year. He thrives in situations where he has freedom. When he went nuts on the New York Knicks, it was because he had free rein in a PnR dominant offense. When he resurrected his career last season with the Charlotte Hornets, it was because he had the green-light with the second unit. More importantly, he’s one of the few NBA players who doesn’t sound like a robot during an interview or soundbite. He’s a well-spoken dude with a Harvard education. And… his hair. I love his hair… even if Jerryd Bayless doesn’t. My prediction: he’ll have at least five games where he’ll make you remember those magical Linsanity moments this season. Enjoy them. As for the Nets, if they can somehow get 20 wins this season, they’ll exceed my expectations.